I am SO excited to share with you my latest It Girl, Alice Rossiter of Alice's Table! Alice's Table brings women together to learn new skills, and live a social and creative lifestyle. The company's goal is to be the bright spot in the modern busy woman’s life - the thing she looks forward to at home and on the town. Modern women don’t have time to be Martha, they need lifestyle delivered. AMEN! After college, Alice starting working in the tech industry and noticed the emergence of the gig economy and the need for more flexible and creative jobs for women that truly met their needs and lifestyle. She wanted to empower women to start their own creative businesses, and give them the tools, knowledge and community they needed to be successful. So, she coupled that with the demand for consumer lifestyle experiences. 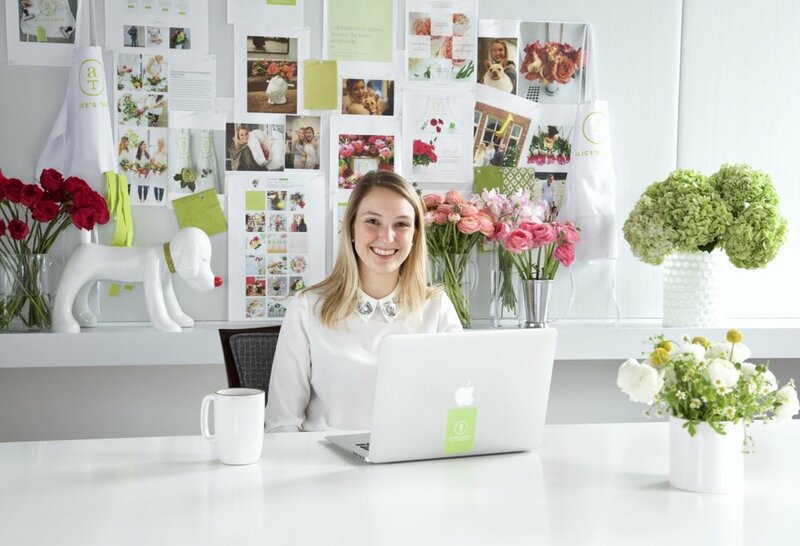 In September 2015, she founded Alice’s Table with the mission to empower women across the country to start their own creative floral arranging businesses. Since starting in September 2015, Alice's Table has seen tremendous growth. The company was named The Boston Globe’s "Best New Service" and The Improper Bostonian’s “Best Boozy Class" 2016. In 2017, they were named a Techstars company, a rigorous and highly-competitive incubator for emerging businesses. Shortly after that, they welcomed their 100th Event Exec into the program, covering more than 30 cities across the US. 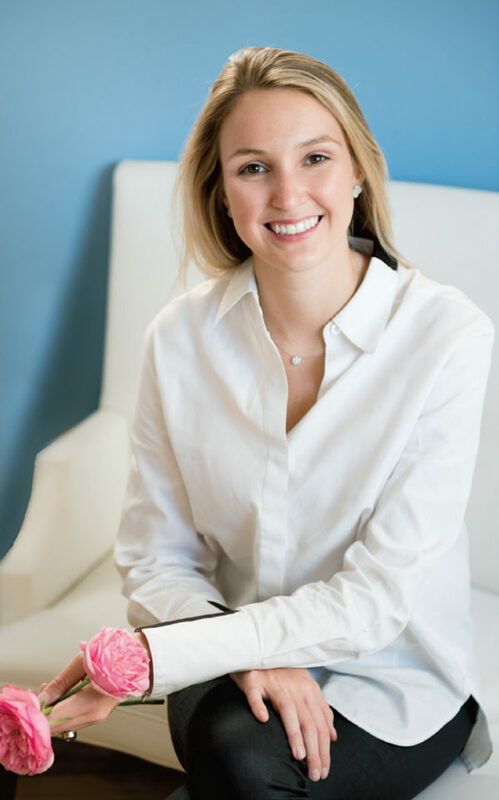 Most recently, Alice pitched her business on the popular show, Shark Tank in which she scored a joint deal with Mark Cuban and Sara Blakely, founder of Spanx. "Being on Shark Tank was great," said Alice. "I was very nervous before I entered the 'tank' but once I started talking with the sharks, I felt much more comfortable. They make you feel welcome and engage you with great questions. And I felt really prepared based on my experience with Techstars. In the months leading up to Shark Tank I had dozens of meetings with entrepreneurs and investors, so I got really comfortable answering questions about the business. Since Shark Tank aired, we've seen a really amazing response. It’s been a whirlwind to say the least!" When you join the Alice's Table community, you become an "Exec." The goal of an Exec is to teach women in their communities how to flower arrange. They are also the go-to gal for planning, birthday parties, girl's night out, and more! Most of the company's Exec's are women, however they do have a few husband/wife teams. Anyone interested in joining can learn more and apply on their Event Exec page. In addition, Alice's Table offers the option of hosting an event. Whether you're a restaurant interested in becoming a venue partner, a bride looking for a fun bridal shower idea or a charity in search of fundraising events, Alice's Table is your go-to! As you know, I always ask my It Girls what their one piece of advice is for other women starting their own businesses. According to Alice, "Have confidence in yourself and push forward. There will always be negativity or something that didn’t work the way you planned. Getting a 'no' just means you’re pushing hard. So stay positive and push forward. The best advice I received was to surround yourself with a community of people doing similar things, other entrepreneurs. They may span across completely different industries, but you’re all experiencing the same challenges and will provide amazing support and sounding boards. At Alice's Table, we strive to provide that kind of supportive community for our Execs to build connections, grow their businesses and celebrate each other’s success." To learn more about Alice's Table, click here. You can also follow them on Facebook, Instagram & PInterest.